Click the Vimeo icon from the list of video platforms and lecture capture systems. Once Vimeo is selected you will be redirected to a Vimeo sign in page. 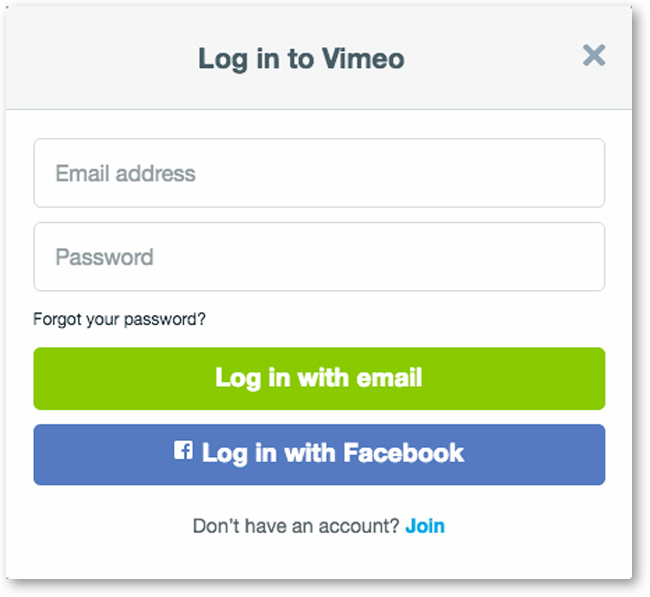 Enter the email address and password associated with your Vimeo account. 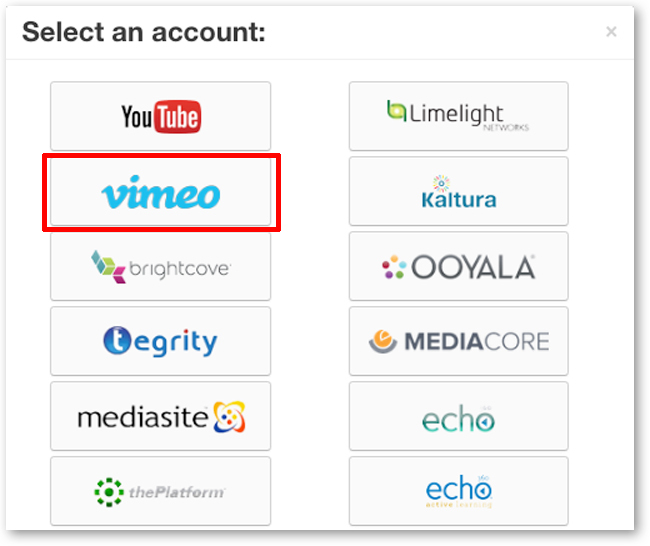 After signing into Vimeo, you will be asked if 3Play Media can have access to your Vimeo account. 3Play Media will never post anything to your Vimeo account, we need these other permissions to allow the integration to fully function. We need these permissions to get access to download urls and to add and edit captions. 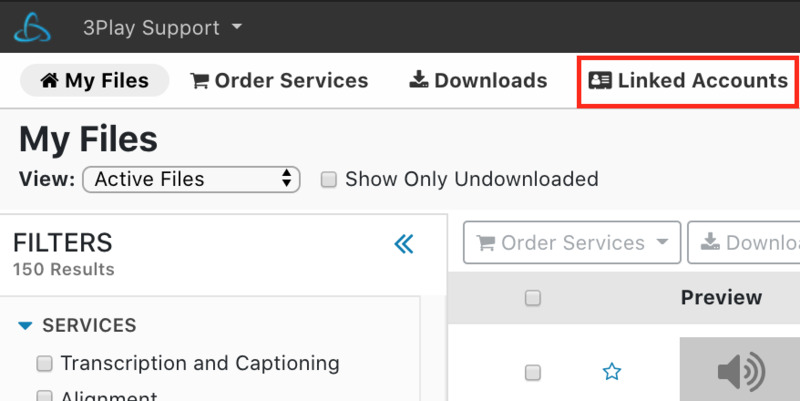 Customers shouldn’t be afraid of the messaging of “Uploading videos on my behalf.” We only need that permission to upload captions. After clicking Allow you will be redirected back to your linked Vimeo account within your 3Play Media account where your Vimeo videos will be displayed in a thumbnail feed. IMPORTANT NOTE: Only Vimeo PRO and PLUS account holders will see the option for auto postback. 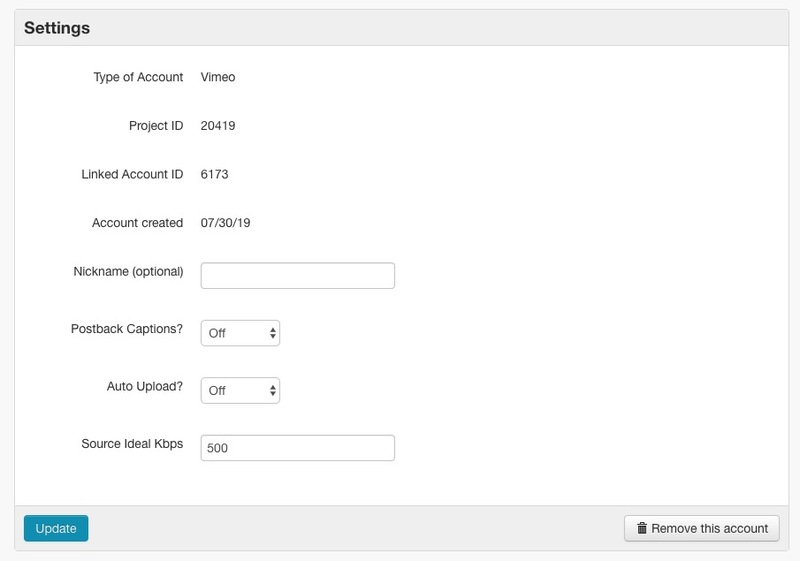 Enabling auto-postback, allows caption files to be automatically delivered to their corresponding videos in Vimeo, upon transcription completion. You can also name your linked Vimeo account from the Settings menu. Click HERE, to learn how to upload Vimeo videos to 3Play Media, from your Vimeo account for captioning. 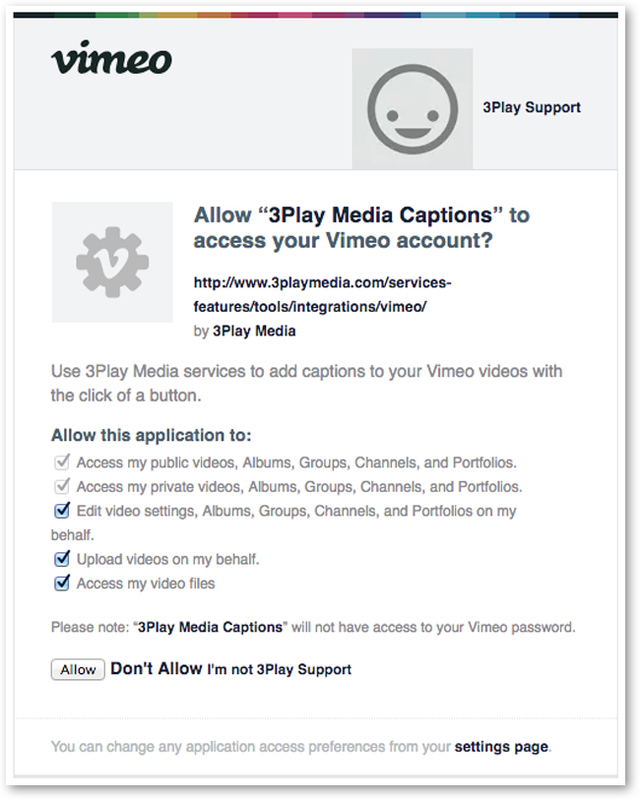 Click HERE, to learn how to upload Vimeo videos to 3Play Media, from your 3Play Media account for captioning.